Staffers and volunteers with the Marine Mammal Stranding Center comfort a lost dolphin during a rescue mission on Sunday in Middle Township, N.J., inland from Wildwood. 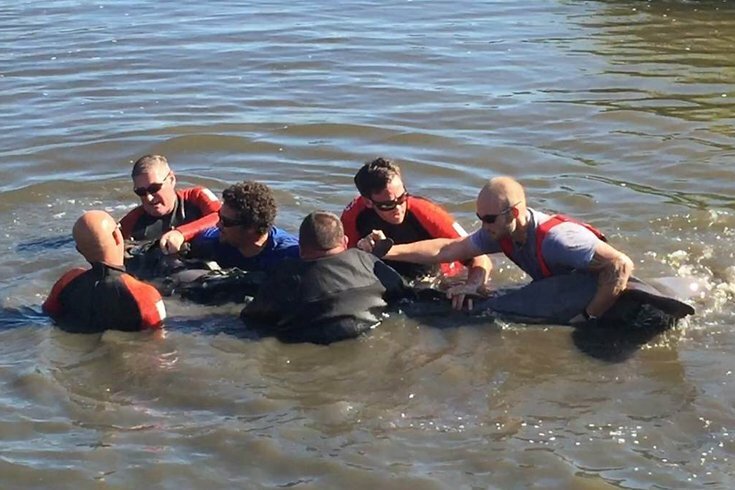 A wayward bottlenose dolphin was rescued Sunday from a small creek near the Jersey Shore. The dolphin was saved from a creek along West Hand Avenue near Route 47, not far from the Jessie Creek Winery, the Atlantic City Press reported, citing police and rescuers said. 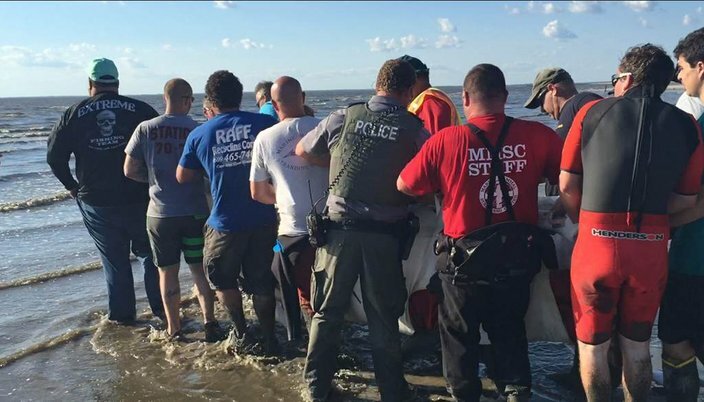 Staffers and volunteers with the Marine Mammal Stranding Center in Brigantine responded to the scene to make the rescue. The bottlenose dolphin, in transit to the Delaware Bay. Sheila Dean, co-director of the stranding center, told the Press that a veterinarian examined the animal on its removal from the creek to assess its health. “We don’t like to release them if they’re not going to make it,” she said. 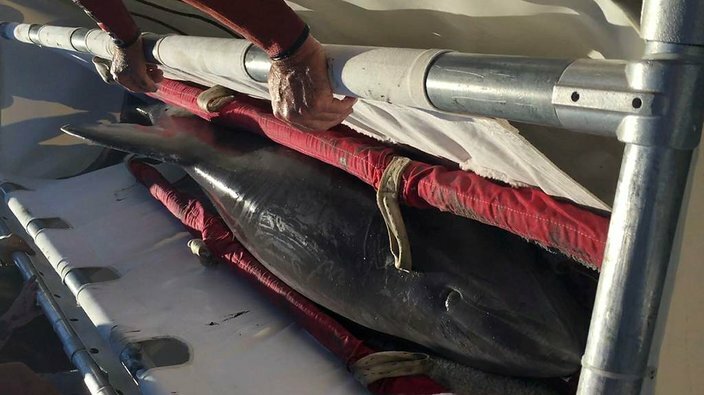 The mammal was transported east to the Delaware Bay, where it was released between 6:30 and 7 p.m., the newspaper reported. Read the full story and watch of video of the rescue at PressofAtlanticCity.com. A team of volunteers and staffers from the Marine Mammal Stranding Center in Brigantine work Sunday at the creek.